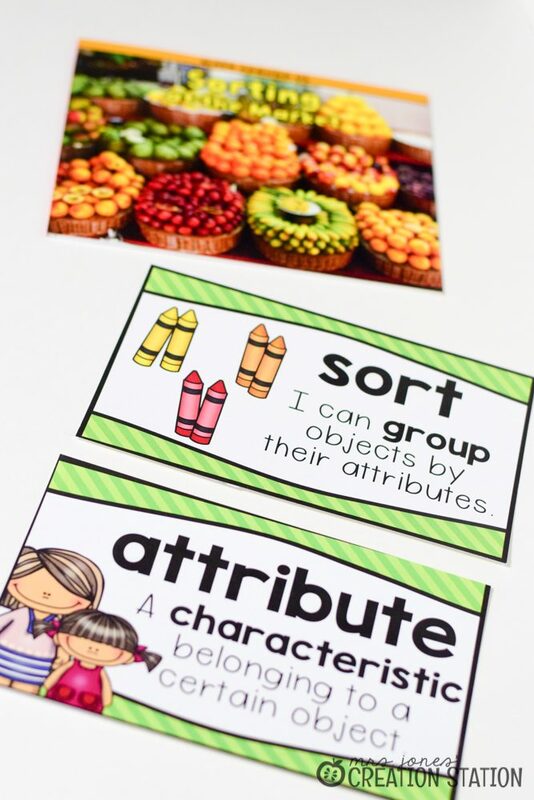 Sorting by attributes is one of the most fundamental skills taught in every early childhood classroom. 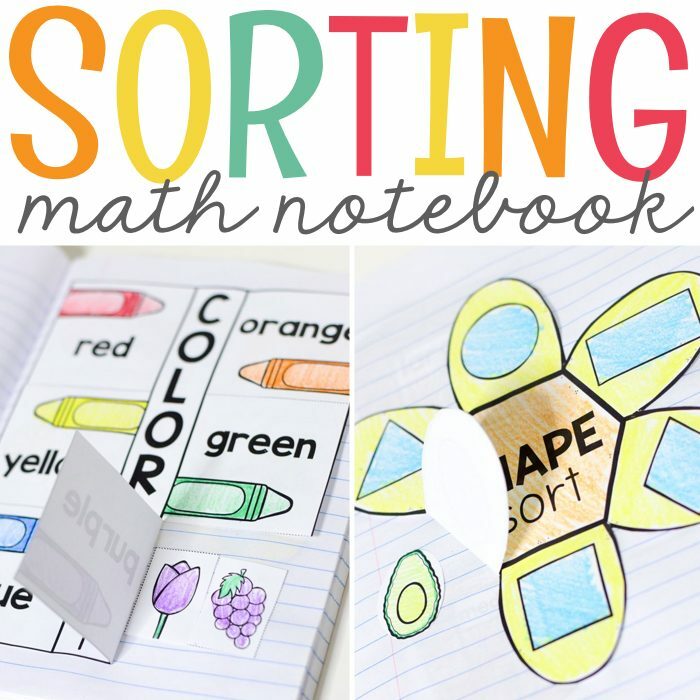 Classifying and sorting is usually a unit that starts off math instruction for the school year. However, things like classroom management, getting to know your learners and other back to school craziness usually take priority during the beginning of the school year. So, that also means sorting activities could fall on the back burner. I love bringing literature into math instruction. It’s a great way to guide learners in understanding the types of information that can be found in books. Not to mention, literature is the perfect solution for introducing new math vocabulary to your learners. 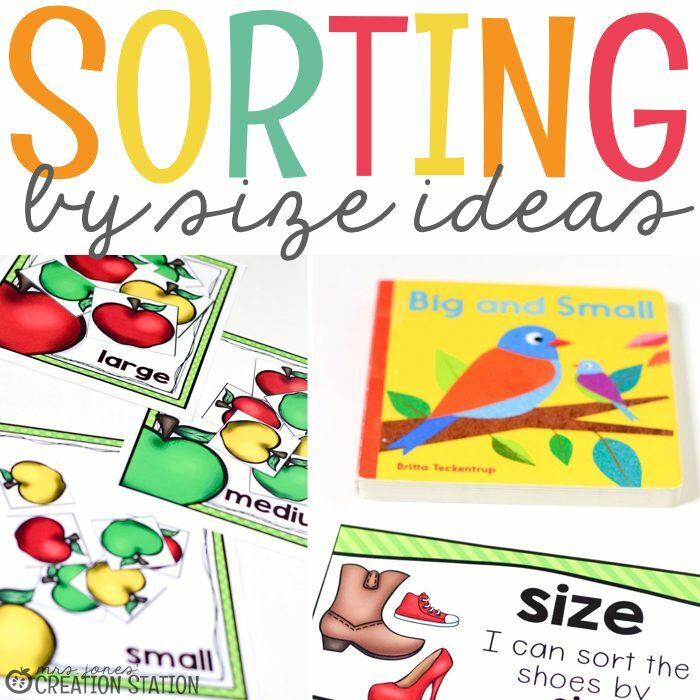 When introducing sorting and classifying, we learn the words “sorting” and “attributes”. We read the sentences together and discuss what these new words mean. 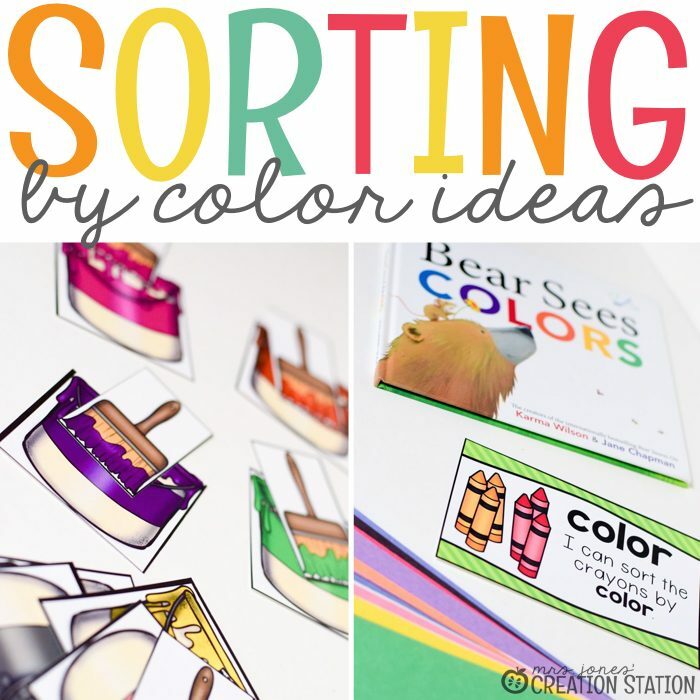 An awesome opener for this unit is the book, Sorting at the Market . 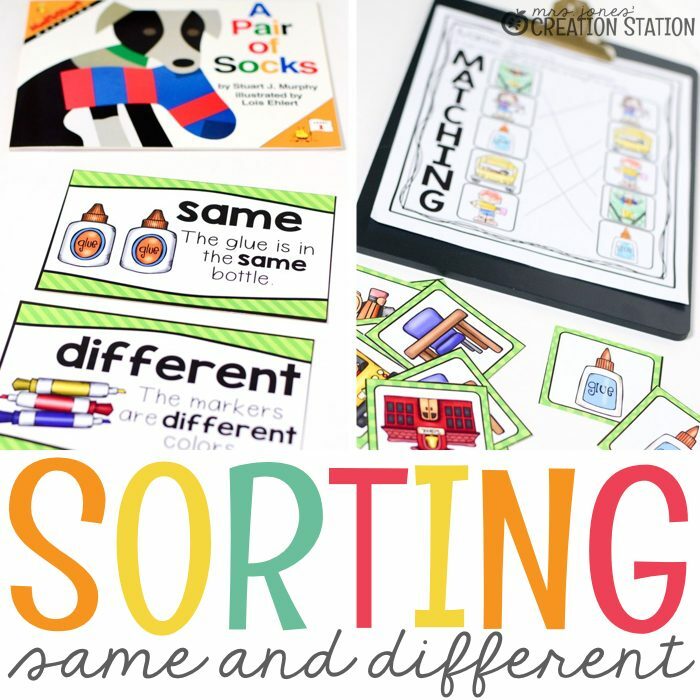 It effectively discusses and illustrates how different objects can be sorted in different ways. 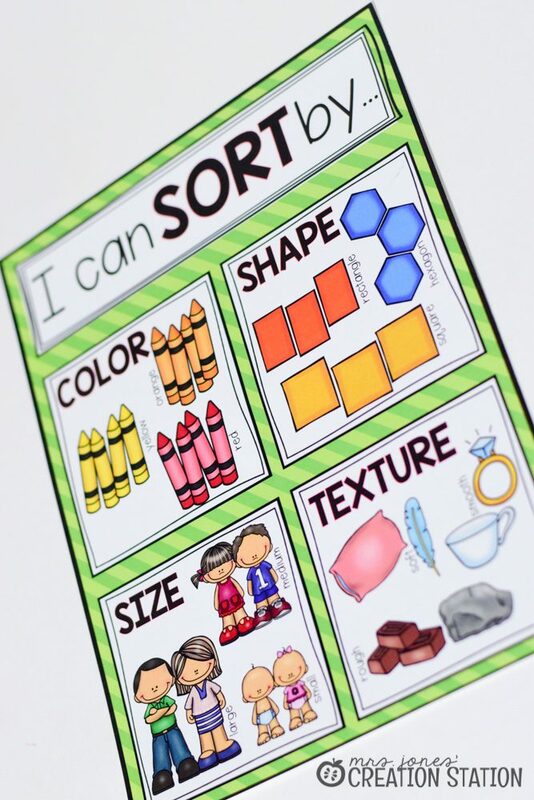 We then add the “I Can Sort By” poster to our Math Word Wall as we begin our sorting unit together. Grab this poster by clicking on the image at the bottom of the post. 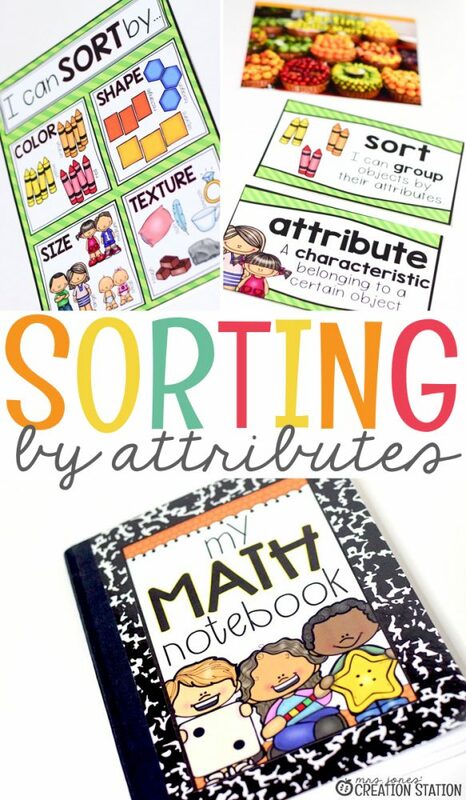 You can view all the resources in this unit by checking out my Sorting By Attributes Pack. For the younger ages like preschool and pre-k, it’s important to spend more time on basic skills for learners to build a strong foundation. Classifying objects is a skill that is used on a daily basis. Putting away dishes, washing laundry and cleaning up toys are just a few examples! 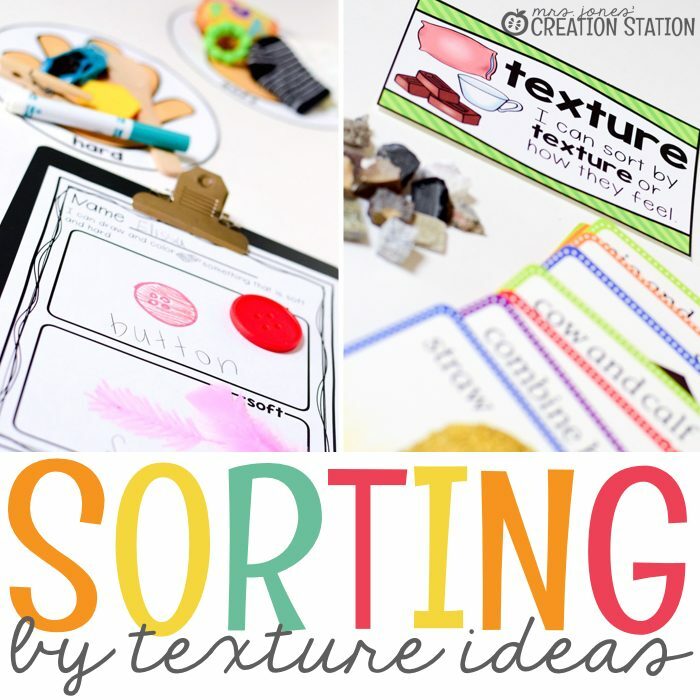 This sorting unit includes a series of 3 mini-lessons, 2 math centers and an interactive notebook printable for each of the categories below. Be sure to check out all the resources here and don’t forget to grab your free poster!